The folks behind the design of the LG G3 took to posting a short video explaining their art and challenges while showing off what they say makes the G3 a premium experience for users. The video is not unlike Samsung’s explanation of the Galaxy S5 or HTC’s One (M8) videos, discussing philosophy, materials and more. We have been thoroughly impressed with the G3 so far. LG’s efforts to place a 5.5-inch screen in such a manageable form factor have been well received and the faux brushed metal backing has not met with the same anti-plastic fervor that rival Galaxy S5 endured at the hands of the HTC fans. The video goes on to explain how the device was designed first and foremost around fitting comfortably in hand. As you may already know, LG managed to reduce it’s bezel sizes to get that 5.5-inch display into a unit that is roughly the same overall size as the 5.2-inch G2. It may be unfair to say that LG took UI cues for the G3 from Android 4.4 and Google’s overall move to circles throughout their services, especially being that LG’s logo itself is a circle. Either way, the new simple, clean and flat design is not unpleasant, best of all, it is fluid and consistent throughout much of the phone. However, we still found the UI a little cluttered. Now that you have a taste for the look and feel of the device, let me remind you of the specs of LG’s latest flagship device. The G3 packs that 5.5-inch display at 2560 x 1440 resolution, Quad-core 2.5GHz Snapdragon 801, 2GB of RAM in the 16GB storage model, 3GB in the 32GB model, 13MP main shooter and a 3000mAh battery. You best just hit our full review for all the details. 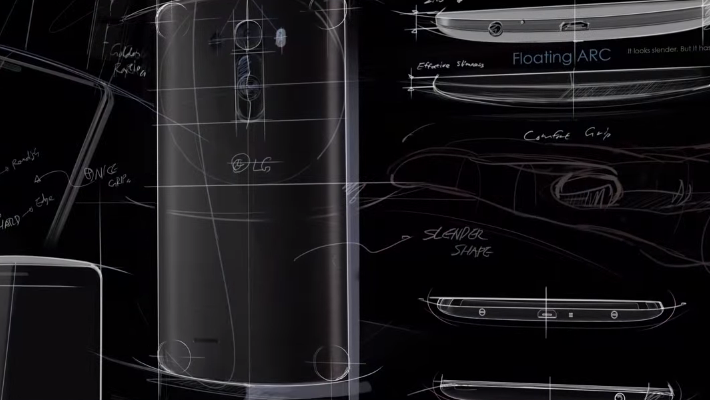 There you have it then, the LG G3 is a slick unit, and you now know what LG was thinking when they built it. Will you be getting one?